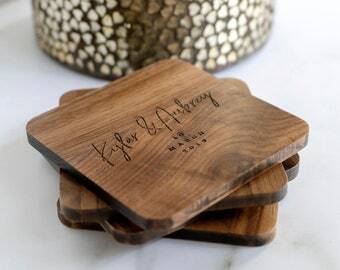 Custom Coasters. 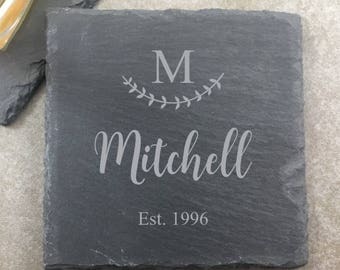 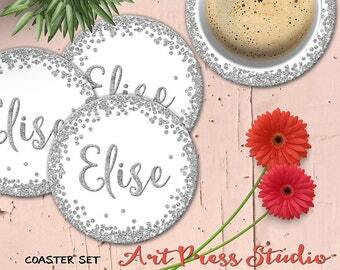 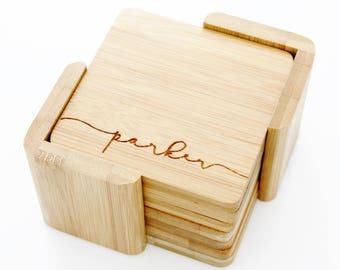 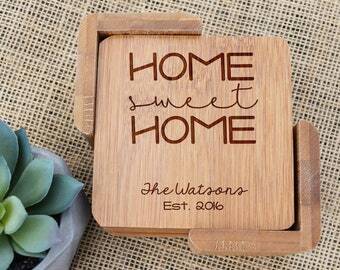 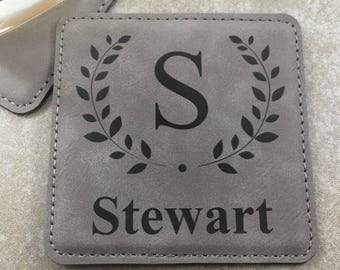 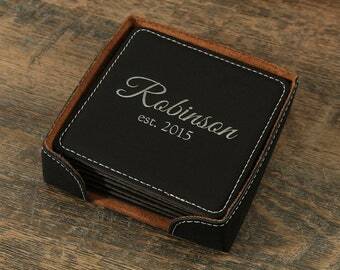 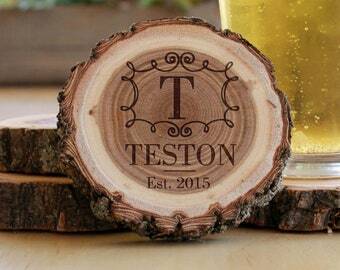 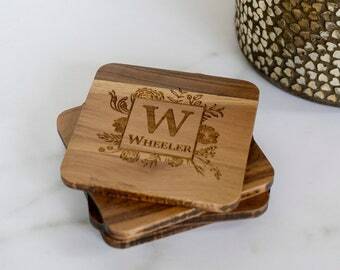 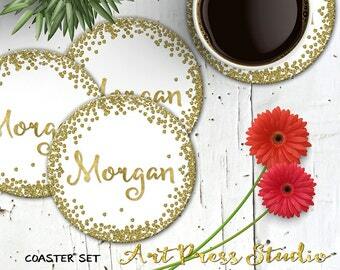 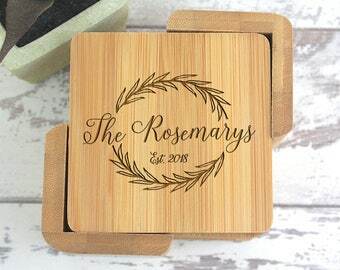 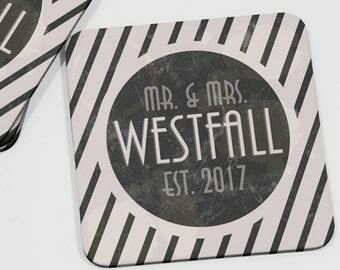 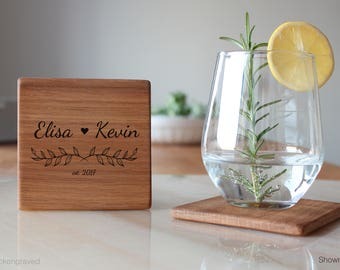 Personalized coaster set, Engraved coasters with last name. 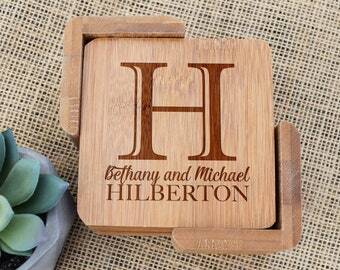 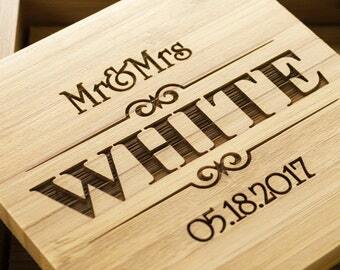 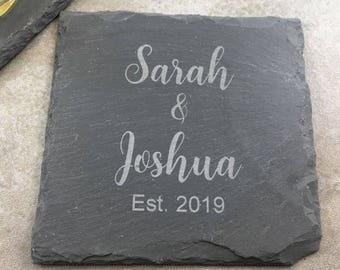 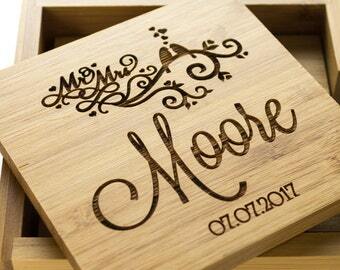 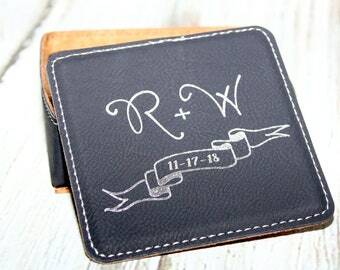 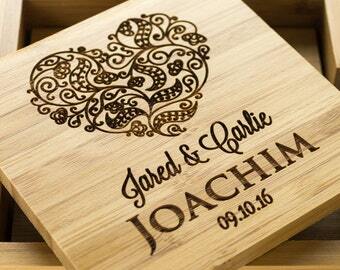 Custom wedding gift, engagement present. Set of 6, wood decor.